Raton, FL – General Manager and Head Coach Marcelo Castillo continues to add to his coaching staff. Boca Raton native, John Garrish joins the club as the Director of Athletic Performance, Strength and Conditioning. 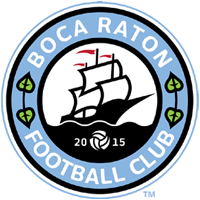 Garrish joins Boca Raton FC from North Broward Preparatory School where he is the Director of Sport Performance. Garrish’s position at Boca Raton FC will be similar to his at North Broward Preparatory School where he is responsible for the long term oversight, management, direction and conduction of an athletic development and strength and conditioning program for all of North Broward’s student-athletes from the school’s 21 varsity sports, including men’s and women’s soccer. “My first and most important goal is to avail the athletes with every bit of information and opportunity to help them become and remain healthy, added Garrish, a former United States Air Force cadet. “From there, it’s a performance-based program whose purpose is to help our guys become better soccer players. An athlete that is stronger, faster and better conditioned will be more receptive to the skills our coaching staff is set to teach them.